I’ll be on winter recess soaking in Gemütlichkeit for the next couple weeks so the blog will be on temporary hiatus. Thanks to everyone who stopped by this year. See you in 2017! 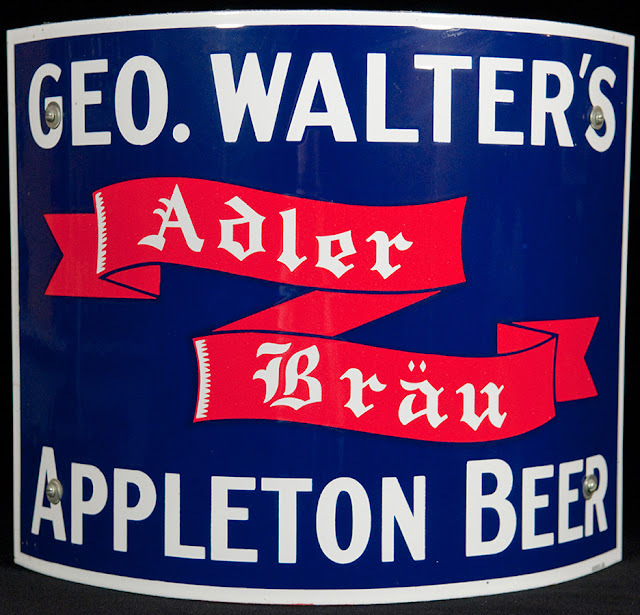 Adam Carlson returns for our year-end round-up of beery things we liked best. This has been a good year. In 2016, our breweries grew, the variety of beer available to us was unprecedented, and the city’s beer community expanded. 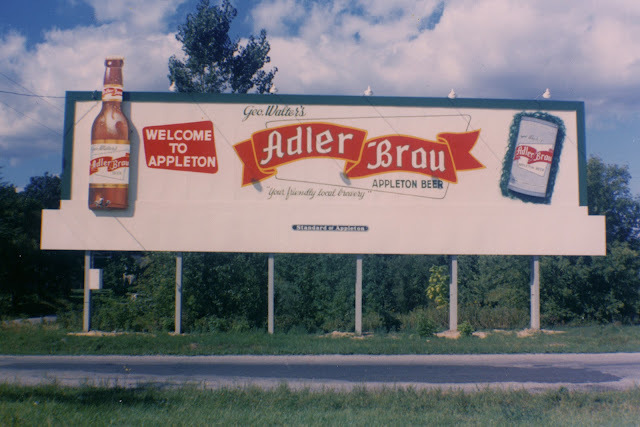 The beer culture here hasn’t been this vital since the mid-1950s when Oshkosh was home to three breweries. Things are changing rapidly. And in interesting ways. 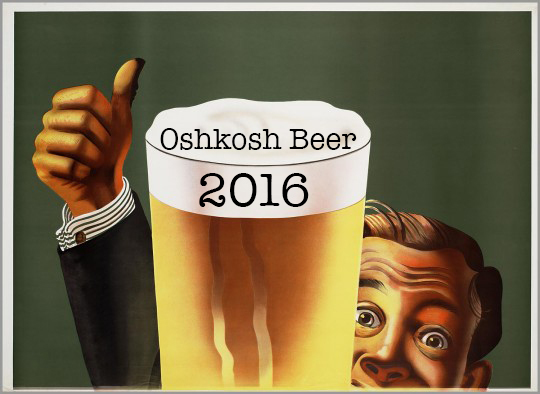 Here’s a review of what 2016 brought to the Oshkosh beer scene. The year began with announcements that progress was being made by two groups planning to launch breweries here. In early January, The HighHolder Brewing Company shared the word that fabrication of its brewhouse was underway at 2211 Oregon St. 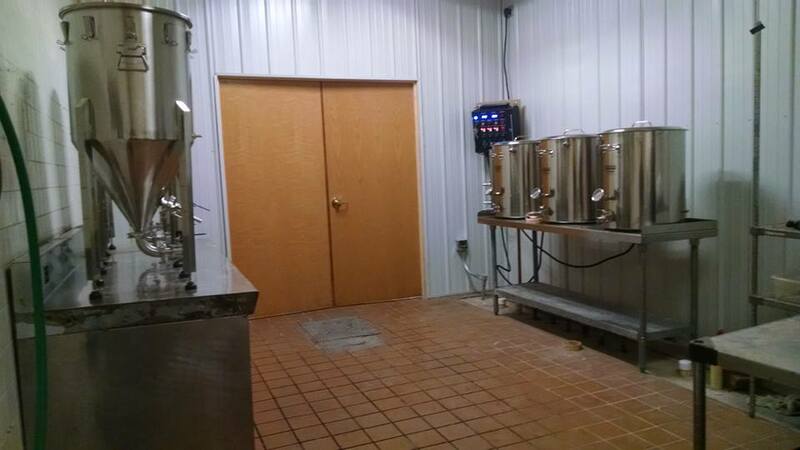 The 40-gallon brewery they've installed would make this the first nano-brewery in Winnebago County. Problems related to the permitting process slowed their progress, but now the project is back on track. Of the three breweries currently in planning for Oshkosh, HighHolder Brewing is the closest to producing beer. There's a good chance that will begin happening in 2017. The beginning of the HighHolder brewhouse. Later in January came word that another startup, Fifth Ward Brewing Company, was seeking authorization from the city to open a brewery on South Main Street. By spring, Ian Wenger and Zach Clark of Fifth Ward had secured a building at 1009 S. Main St. and the permits needed to move ahead with their plans for the property. It initially appeared that Fifth Ward could possibly open by the end of the year. But the project ran into financing issues. Clark and Wenger have made significant progress on that front and hope to have an announcement about their impending brewery in early 2017. The proposed home of Fifth Ward Brewing at 1009 S. Main St.
February brought major change to Bare Bones Brewery. 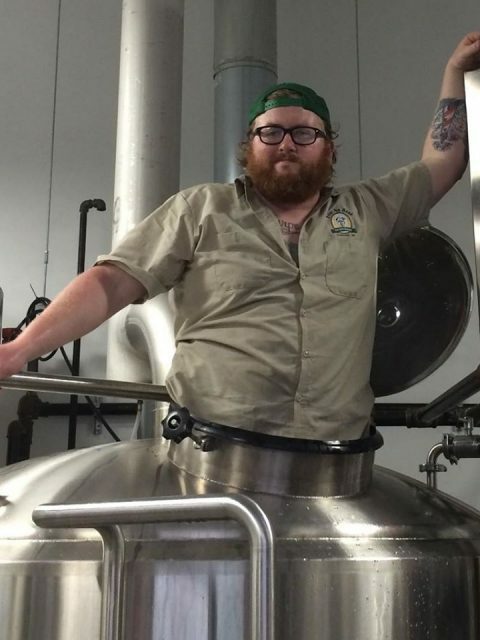 Lyle Hari, brewmaster at Bare Bones, left the brewery to take a job with a Florida brewery. 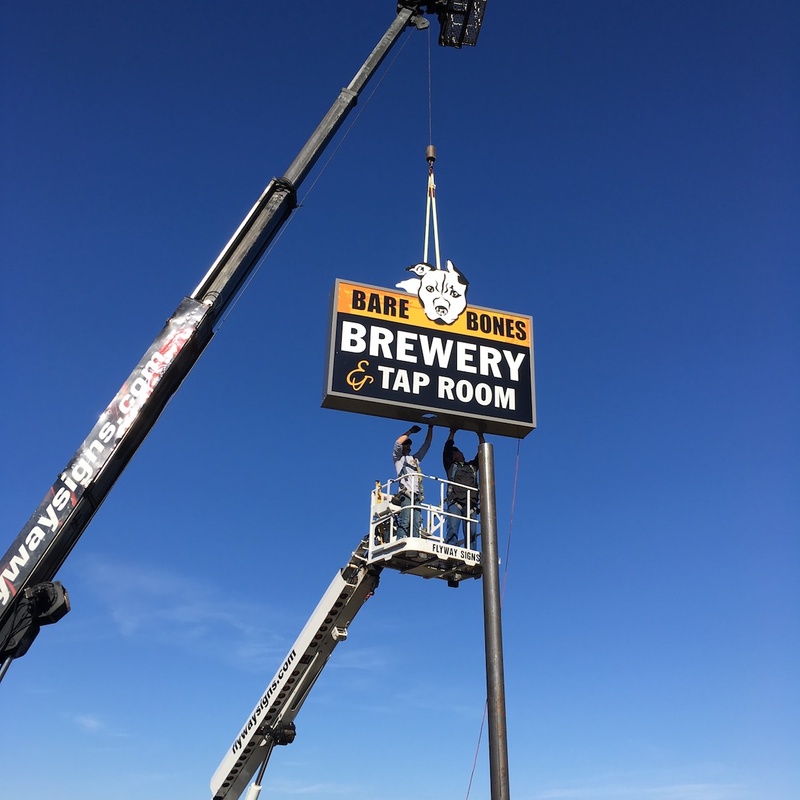 By the end of the month, Hari had been replaced by RJ Nordlund, who had previously worked for Founders, Harmony and Fetch breweries in Michigan. Nordlund’s beers have been a departure from those produced at the brewery prior to his arrival. 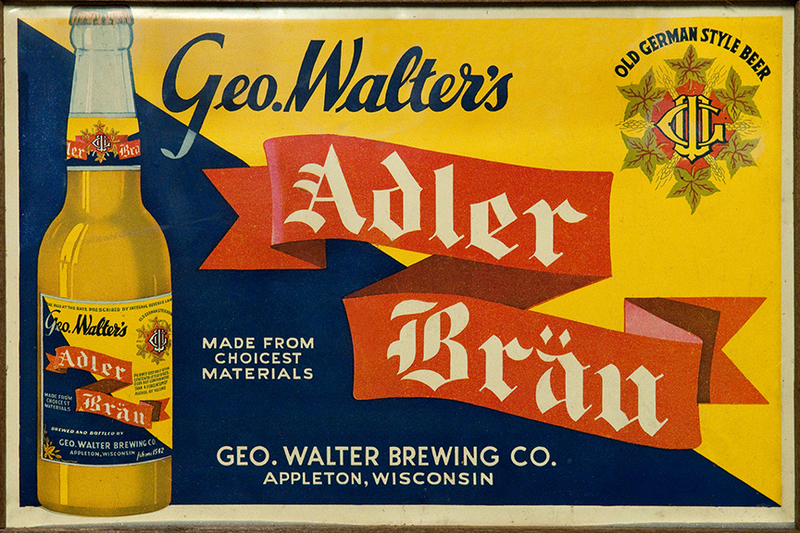 His beers often showcase hops and deliver a robust charge of alcohol. The change appears to have been invigorating. The effect was most noticeable in the tap room at Bare Bones. The draught lines there had previously been divided between the brewery’s own beer and that of other Wisconsin breweries. But by early summer nearly all the handles had been taken over by Bare Bones’ beer. The point was driven home with new packaging and distribution emphasizing the brewery’s IPAs. At the end of 2016, Bare Bones is not the same brewery it was a year ago. A new sign being installed at Bare Bones Brewery, November 7, 2016. Talk of another new brewery flared in May when Jeff Fulbright announced his plan for establishing the Oshkosh Bier & Brewing Company. 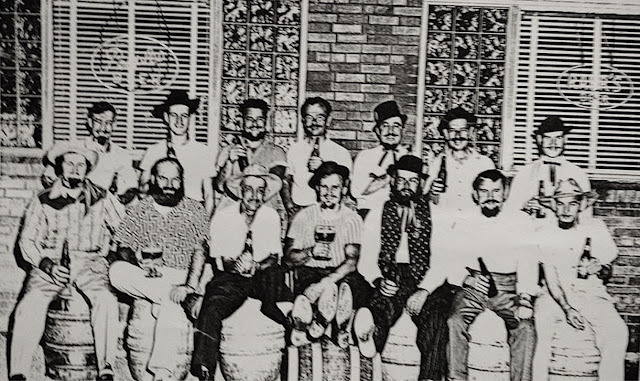 Fulbright had previously operated Mid-Coast Brewing Company in the early 1990s. His flagship brand was the well-known Chief Oshkosh Red Lager. Fulbright’s new plan would establish a tap room and 40-barrel brewhouse in the heart of the city. By the end of summer, he had secured a 12-month, option-to-purchase agreement on property at the corner of Jackson and Pearl streets. Fulbright continues to make progress on the project. He is currently negotiating a partnership with a local developer for construction of the brewery. 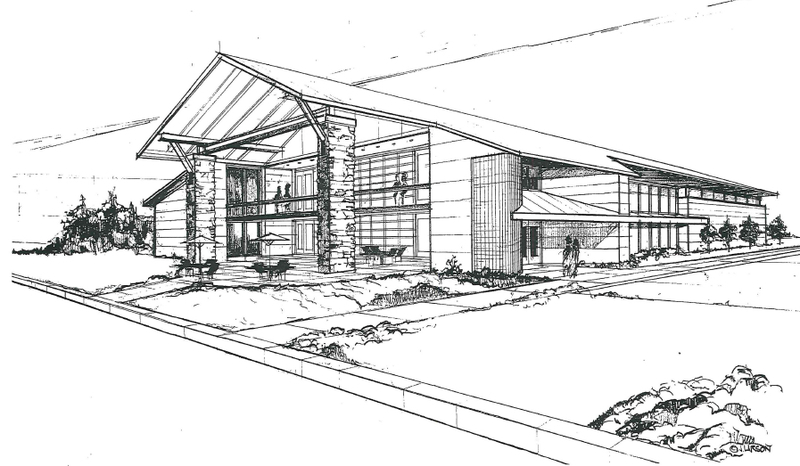 The proposed Oshkosh Bier & Brewing Company brewery and tap room. On June 27, Ruby Owl Tap Room opened at 421 N. Main St. After more than a year in development, the Ruby had an immediate impact on the downtown beer scene. The tap room opened with 30 beers on draft, without a light beer or macro in sight. 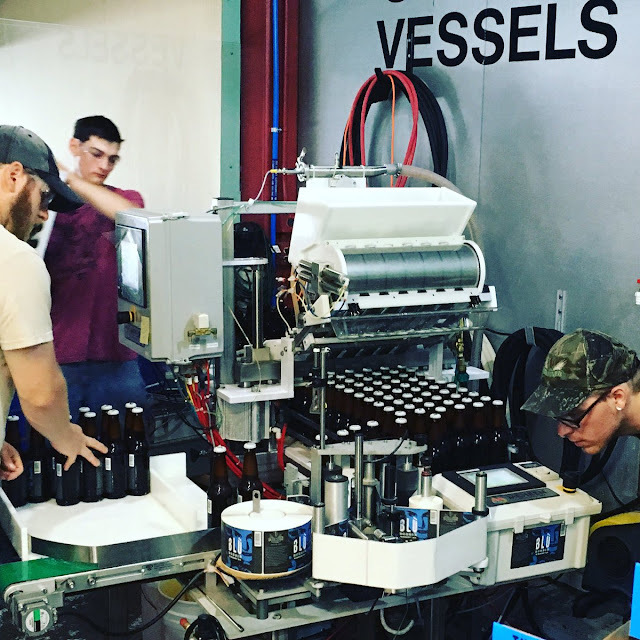 In July, Ruby Owl installed Oshkosh’s first crowler machine for take-away sales of draft beer in cans. In early fall, manager Adam Carlson began regularly featuring beer events at the Ruby completing his transition from Gardina’s, the Ruby’s sister restaurant on N. Main Street. If the opening of the Ruby Owl marks the beginning of a new phase, then the death of Brews n’ Blues surely marks the end of the first wave of Oshkosh’s beer revival. For the first summer in 20 years, the Brews n’ Blues Festival did not take place. 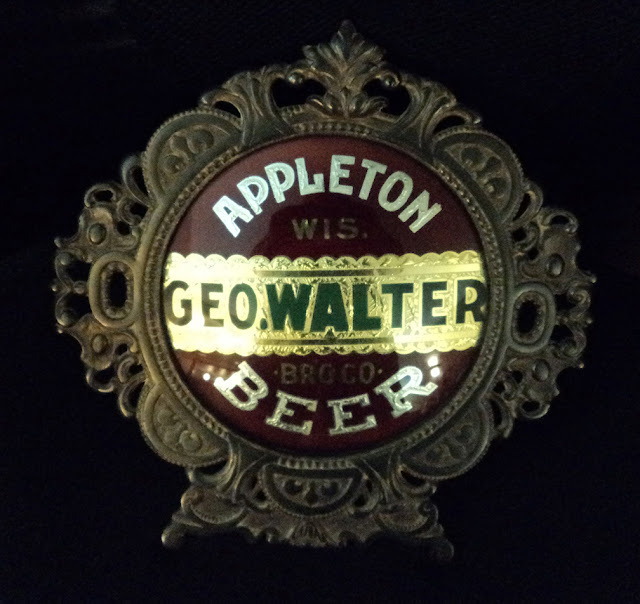 When the festival launched in 1996, it represented what was new and exciting about beer in Oshkosh. 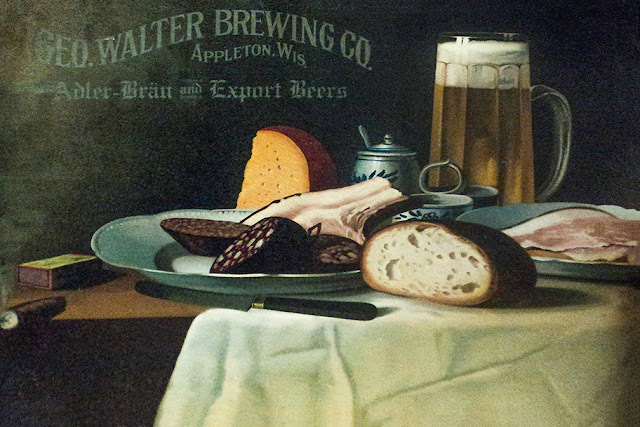 For many here, the fest provided their entrée to craft beer, or as it was called then microbrew. But Brews n’ Blues failed to keep pace with the evolution of beer drinkers here. In a city where diverse beer events now take place on an almost weekly basis, the Brews n’ Blues model of beer fest was no longer the novel event it had been. Its demise was the result, in part, of its success at introducing so many people in this area to good beer. Better news arrived in August. The Cellar, Dave Koepke's homebrew shop, relocated from Fond du Lac to Oshkosh. The Cellar opened at 1921 S. Washburn St. on August 30. It became the first full-scale homebrew shop to operate in Oshkosh since 1933. The store fills a gap that was begging to be occupied. Oshkosh has had a vibrant homebrewing community for more than two decades. The lack of a local resource for materials the hobby requires was always a hindrance. No more. As a homebrewer, I can attest we sorely needed something like this. Dave Koepke at The Cellar in Oshkosh. At the end of August, both Bare Bones Brewery and Fox River Brewing produced beers using wet hops (hops that go directly from bine to brew kettle without being dried or processed). Beers like these had never been brewed here before. Fox River made its wet hop beer on August 24. 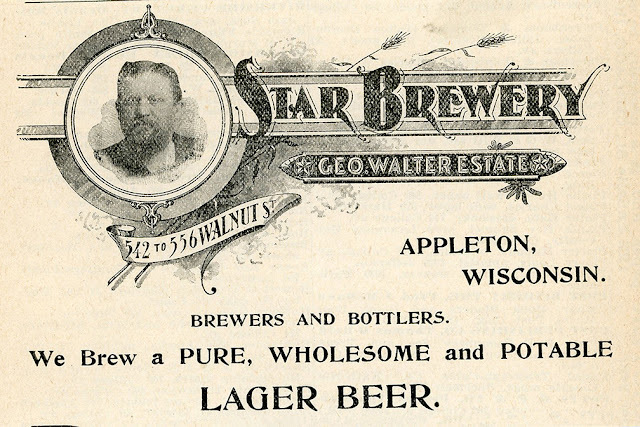 Perhaps more important than it being brewed with wet hops was the source of those hops: they were grown at a small hop yard in Oshkosh. 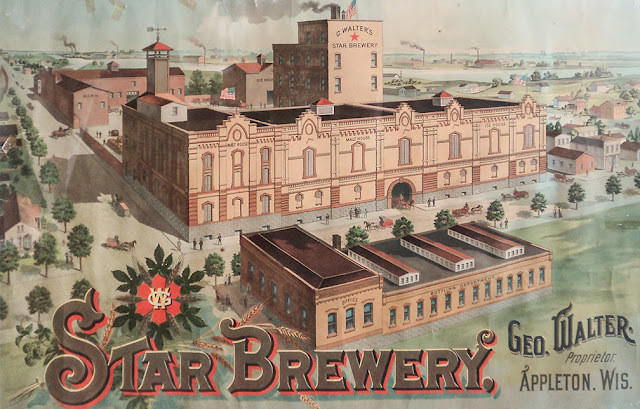 It was the first time in more than 130 years that a beer had been produced by an Oshkosh brewery using locally sourced hops. 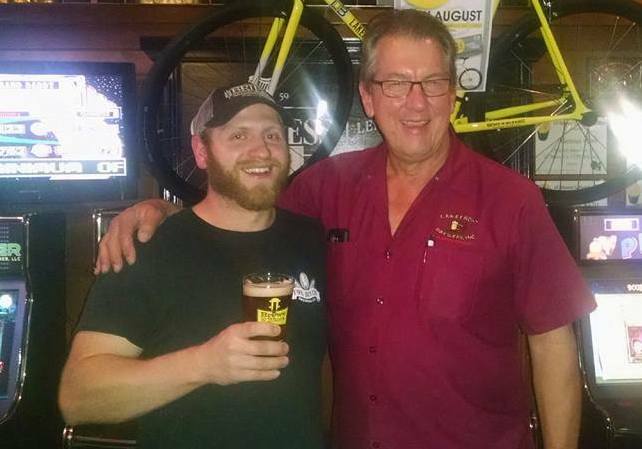 Big Ed’s Hopyard Ale went on tap at Fox River Brewing in mid-September. Kevin Bowen, brewmaster at Fox River Brewing, picking hops for his August 24 brew day. Bare Bones brewed its wet hop beer on August 29. 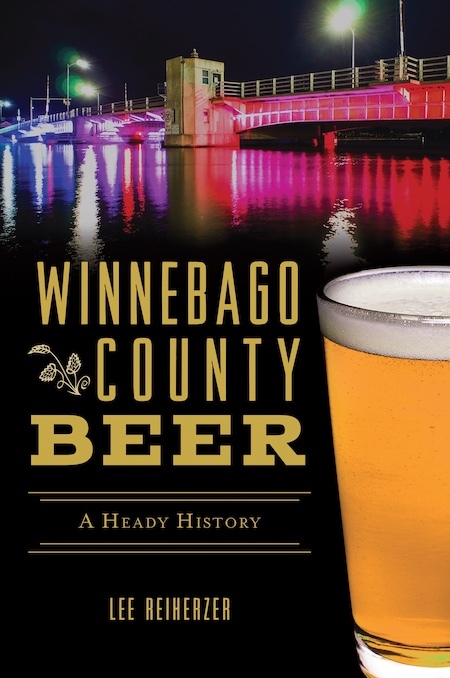 This was the first beer from an Oshkosh brewery to be brewed with wet hops exclusively. Bare Bones brewers RJ Nordlund and Jody Cleveland made a day trip to Michigan to source freshly picked hops for the brew. The beer, named WHARRGARBL, went on tap in early September. Nordlund with WHARRGARBL wet hops. 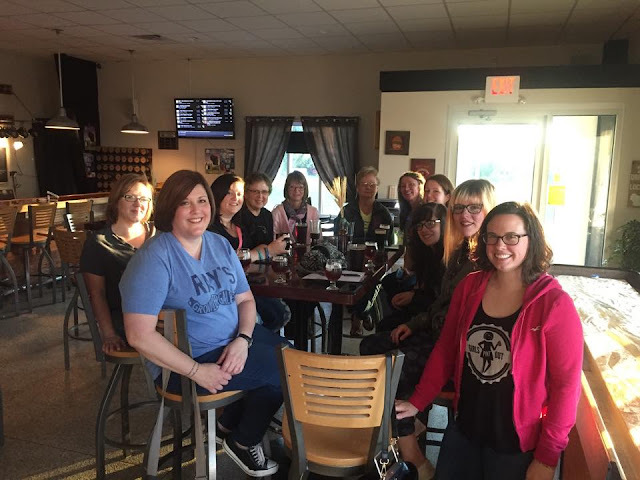 September was also noteworthy for the formation of Oshkosh Girl’s Pint Out, a group whose goal is to build a local community of women who appreciate good beer. Organized by Erin Peyer, GPO had its first gathering on Sunday, October 2 at Bare Bones Brewery. They followed with a series of events through the remainder of the year. The organization is a signifier of the maturing, more inclusive beer culture developing here. October 2, the first get together of Oshkosh Girl's Pint Out. Bare Bones Brewery. This year brought a torrent of reports on the declining fortunes of craft brewers. Often left unreported was that the slowdown was predominantly restricted to large breweries losing ground to smaller, local producers. In 2016, Fox River Brewing became a prime example of one of those small, local producers on the rise. By the end of October, Fox River had already broken its previous production record set over the whole of 2015. Fox River is now at full capacity and exploring options to increase production. 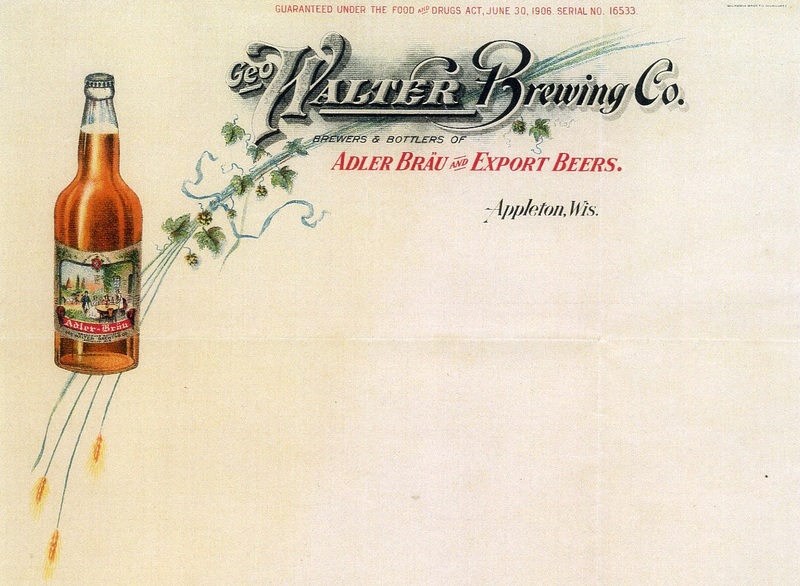 In the near term, that may mean contract brewing some of its bottled beer. Bottling beer at Fox River Brewing. Nationally, the brewery count is now over 5,000. With that has come the return of breweries to nearby cities where brewing once flourished. This year we’ve seen beer in Oshkosh from breweries in Ripon, Neenah, and Appleton. 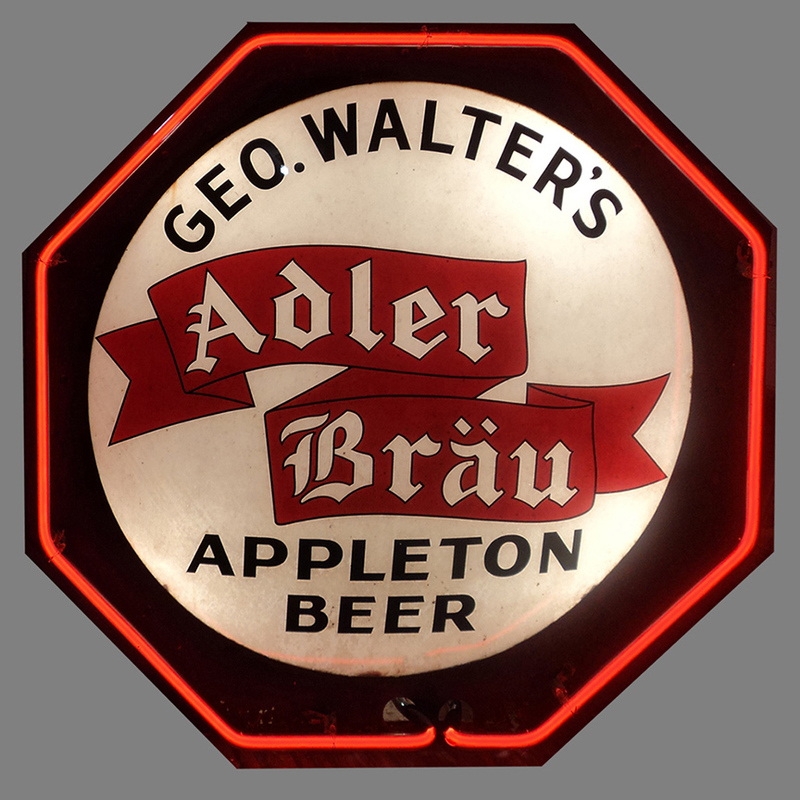 You’d have to go back to the 1940s, to find as many breweries in our immediate area sending their beer here. You’d have to go even further back to find a comparison point for our two breweries. Although Bare Bones and Fox River both distribute their beer, each is reliant upon people coming to their tap room to drink beer they produce on site. This is a model that was prevalent in Oshkosh from the 1850s into the 1870s. It died off as the city’s breweries grew larger in the 1880s. 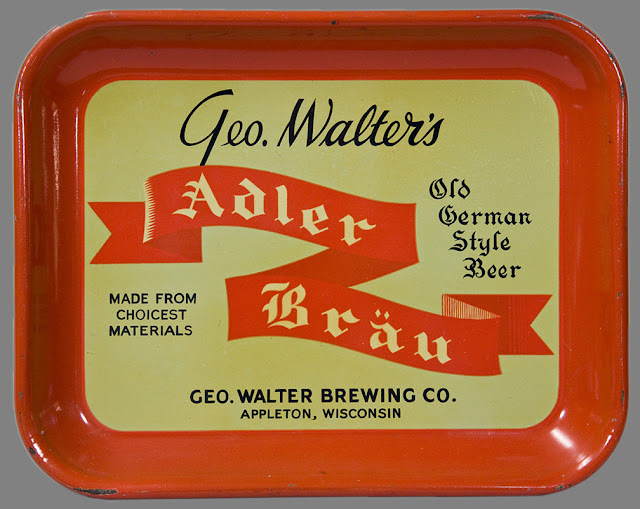 Now it’s being revived as small brewery’s become commonplace again. 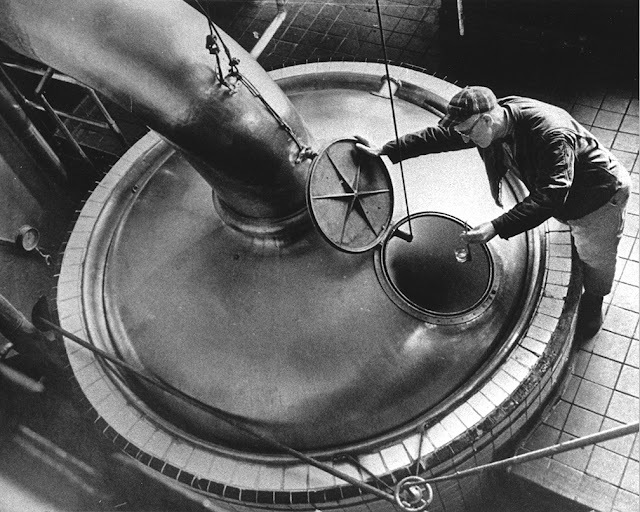 Each of the three breweries in planning also intends to work this model. Big breweries aren’t going away. The renaissance occurring here is taking place in spite of that. What we’re seeing is a return to form. 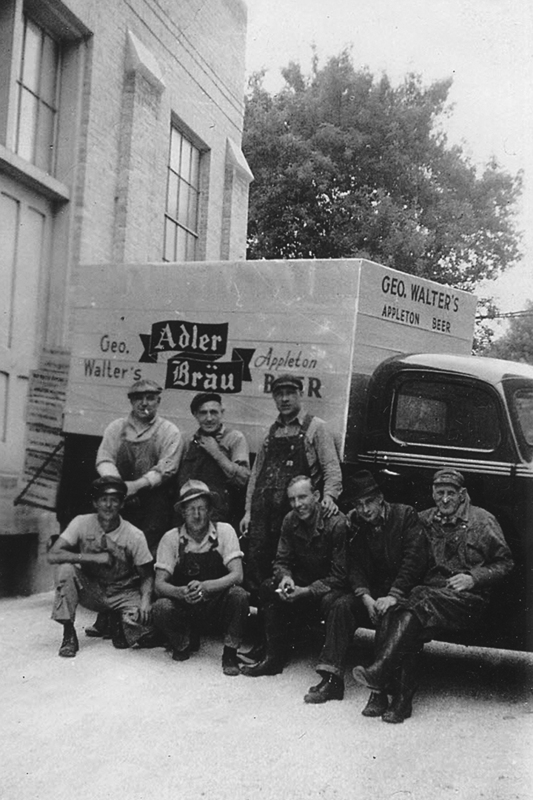 For much of Oshkosh’s history, beer was synonymous with local. At the close of 2016, that perspective is undergoing a renewal. Here’s Jon Cameron with the scoop on the Barrel-aged beer event taking place at Dublin’s Irish Pub this Saturday, December 17. They’ll have more than 20 barrel-aged beers on draft. Dave and I down some beer as we talk about his long road to opening The Cellar Brew Shop in Oshkosh. Dave is a wealth of beer knowledge and has an interesting story. Get to know the guy behind homebase for homebrew in Oshkosh. The pre-Prohibition companion to this post is available here. 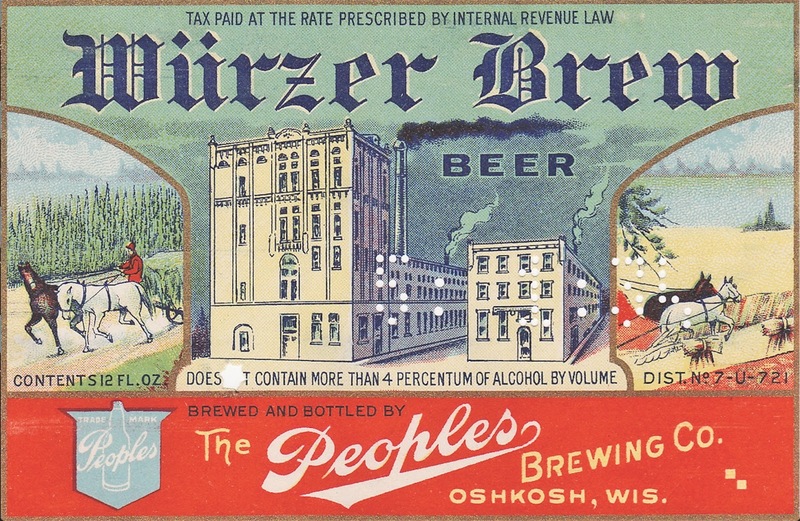 On April 7, 1933, legal beer returned to Oshkosh. But its old chum the saloon was gone for good. 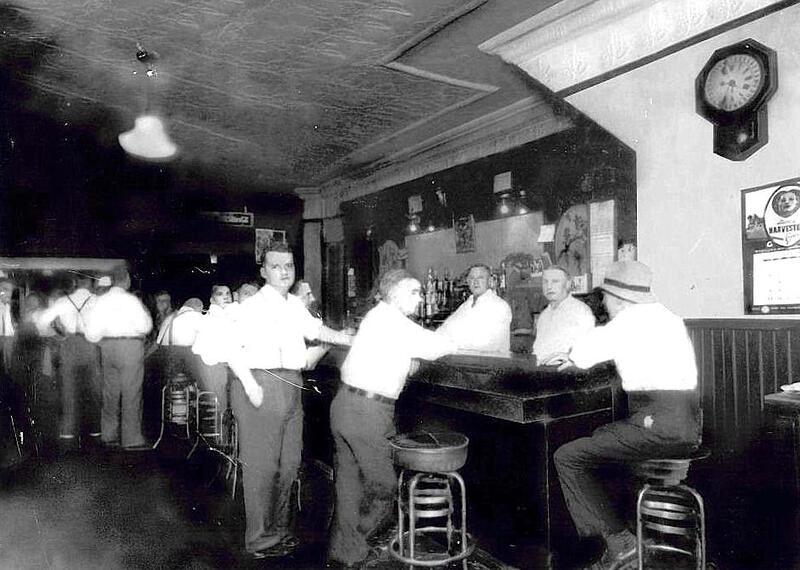 The public drinking houses that opened in the wake of Prohibition's repeal were not saloons. They were taverns, bars, or lounges. Wisconsin had banned the use of the word "saloon" in conjunction with any business holding a liquor license. The nomenclature wasn’t mere window dressing. The scene had changed. Much of the transformation was driven by regulation. 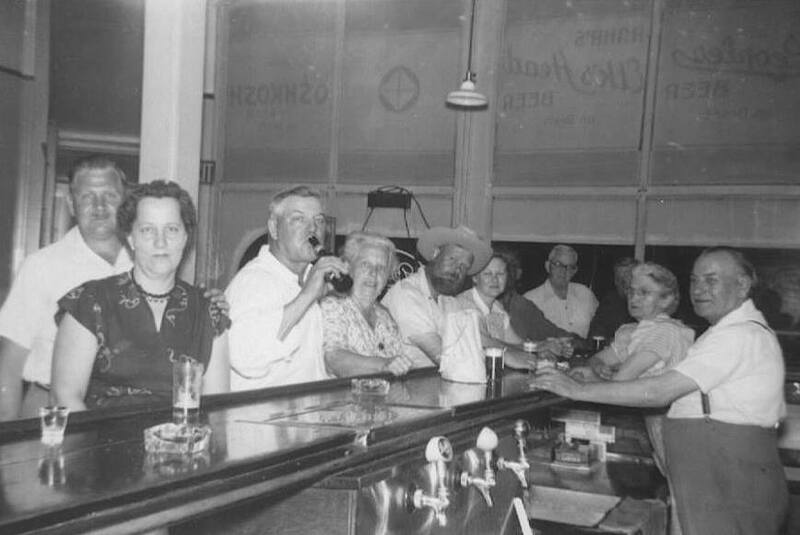 Before Prohibition, saloons in Oshkosh were relatively free to operate as they pleased. After Prohibition, everything from tavern ownership to the pretzels on the bar fell under the constraints of lawmakers. Not only were the rules different, so was the culture. 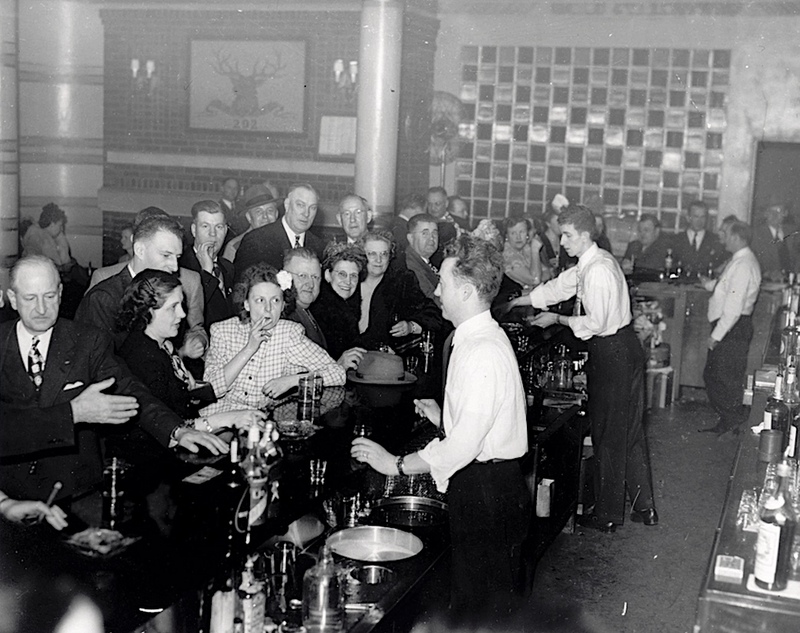 More than 100 speakeasies operated in Oshkosh during the Prohibition era. The old customs in these places were pushed aside with as much enthusiasm as the law was. Where the saloons had generally been the domain of men, speakeasies were often coed affairs. 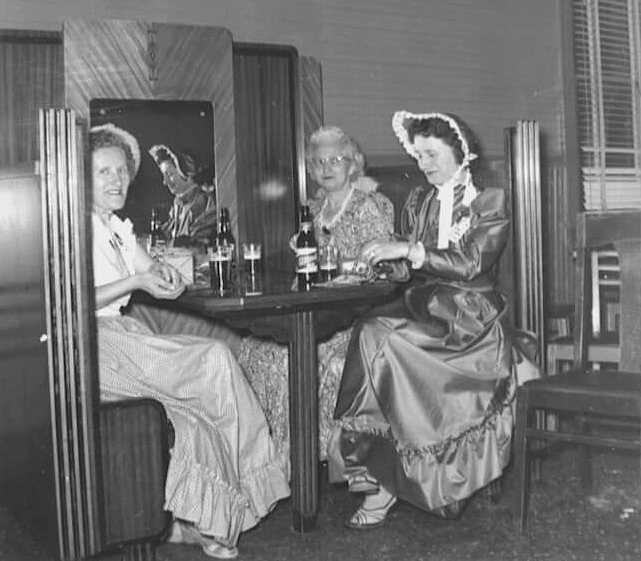 With public drinking legal again, women weren't returning to the parlor. They were at the bar. Here's an example of what that looked like in Oshkosh. 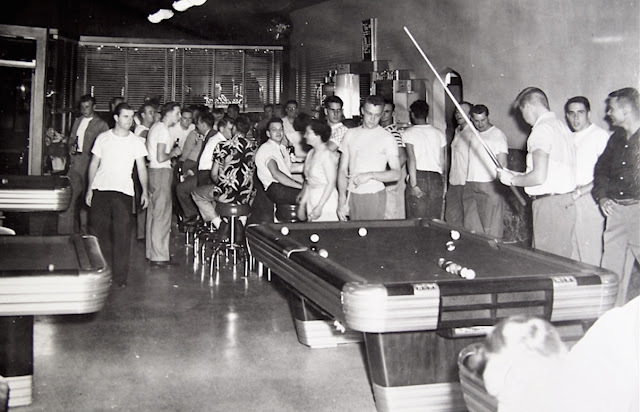 This is inside the Elks Club in the early 1940s when it was located on Jefferson St. If you would have walked out the back door of what is now Oblio's you could have crossed an alley and stepped through the back door of the Elks. Did you notice the lack of beer there? It's mostly booze on the bar. 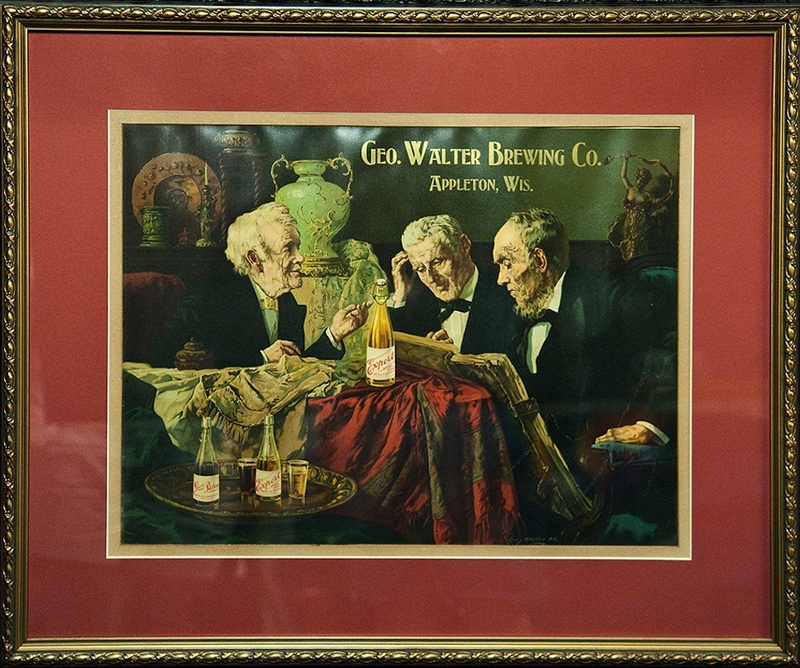 Among the many ironic failures of Prohibition was that it helped develop a taste for drinks more alcoholic than beer. Most bootleggers considered beer too much of a hassle. It was too heavy to sneak around and too hard to make. So they made booze. 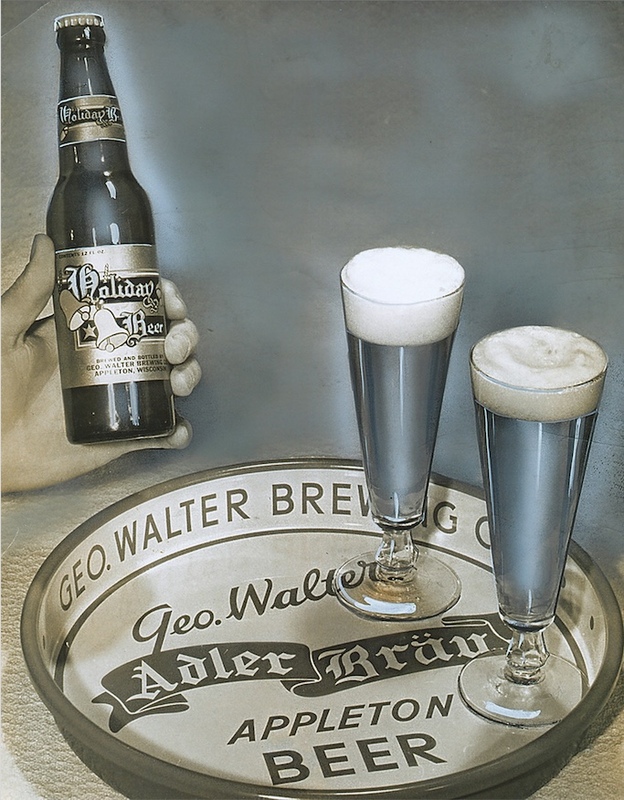 As a result, hard-liquor became the drink of choice for many who came of age during Prohibition. Of course, not everyone had given up on beer. Next, we hit a place that has a more down-home feel than the Elks. 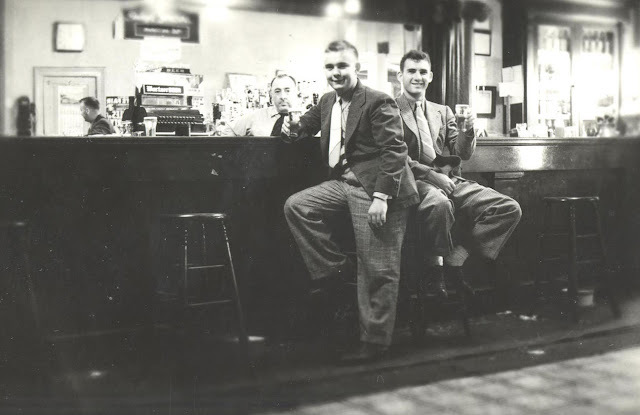 This is a 1950s shot of the saloon operated by Kasmier J. Pawlowski at what is now 359 W. 17th Ave. It's known these days as TNT Tap. 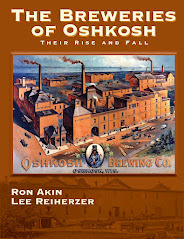 Pawlowski served all the brands brewed in Oshkosh: Chief Oshkosh, Peoples and Rahr's. That's Kasmier and his wife Anna behind the bar. Anna was born in Menasha in 1888. Kasmier was born in Poland in 1886. He and Anna are still together in Oshkosh. Back to the living, living it up. More of a boy's club atmosphere here. Thankfully, this is a place still with us. Jerry's Bar. No date on the photo, but it looks like the early 1950s. 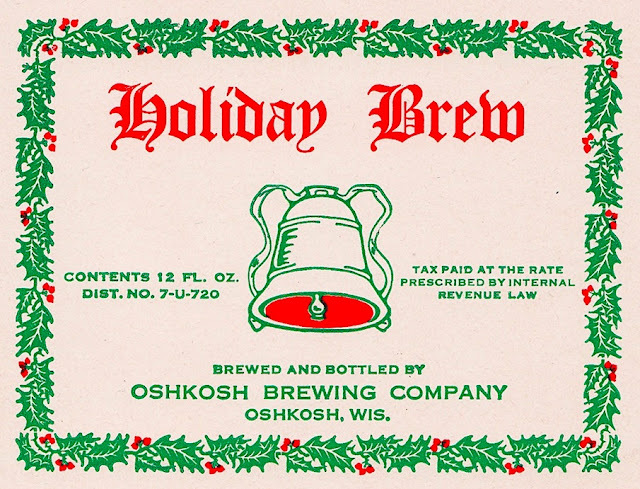 One of the gents is drinking what any respectable Oshkosher was drinking this time of year – Peoples Holiday Beer. More testosterone on the way. 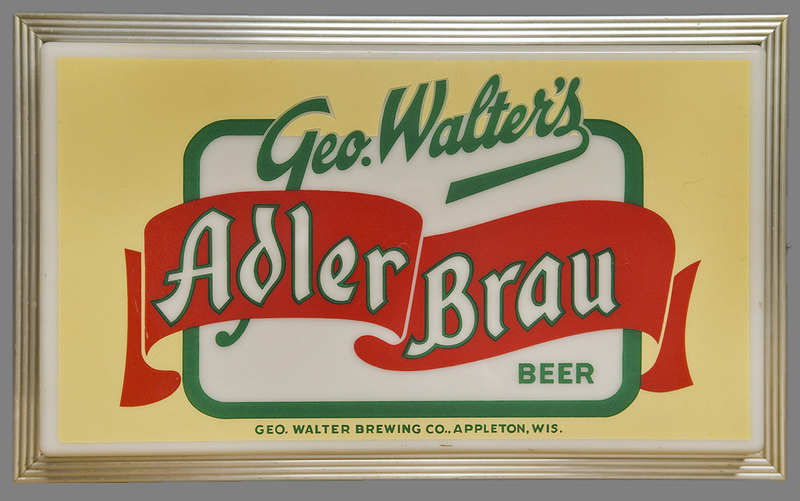 This is what the Magnet looked like in the 1950s when it was a teen bar. If you were 18 you could go there, shoot pool and drink all the beer you could stand. I pity the lone woman in the middle of the crew. Let's bring some balance here. These ladies from 1953 were celebrating Oshkosh's Centennial by drinking Peoples Beer and dressing as if it were 1853. They're in a tavern that was once a linchpin of the old 6th Ward. This photo was taken inside The Bohmerwald Tavern. 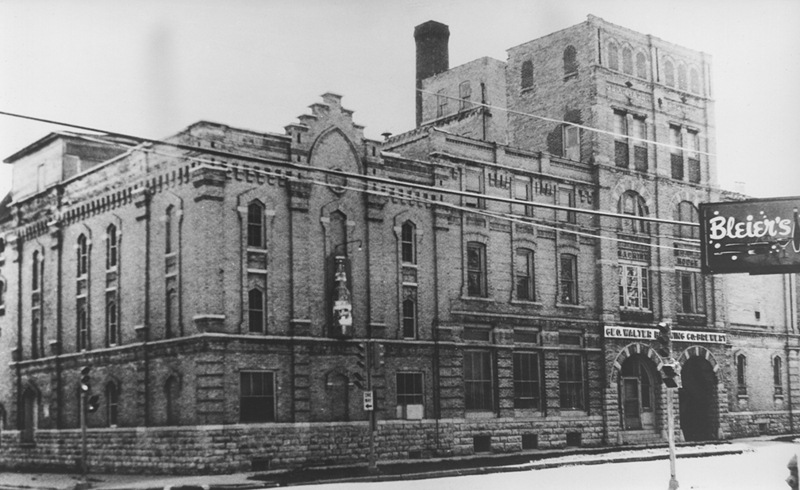 It's long gone, but once stood at the northwest corner of 9th and Knapp streets. Next, we head to one of my favorite places in the world – Repp's Bar. 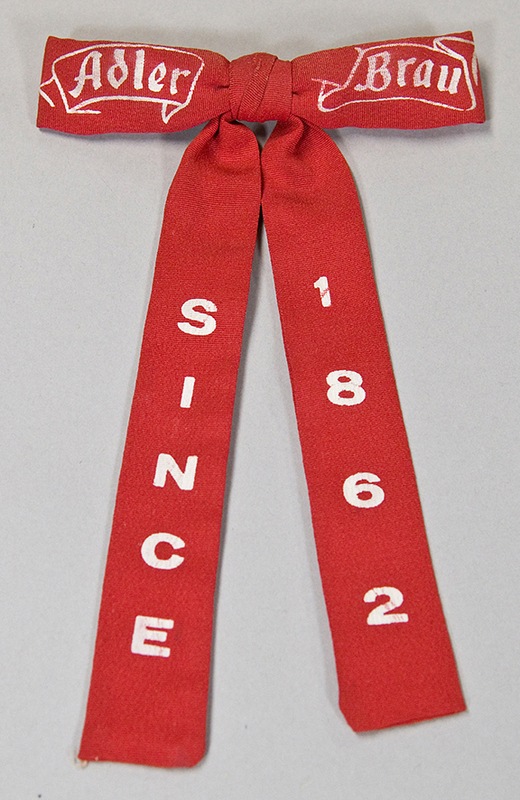 These guys were also celebrating the Oshkosh Centennial. That's the owner, Al Rep, sitting on a keg in the front row second from left; the guy with the bushy beard and the big goblet full of beer. Not the best picture, but you can still see the signs for Peoples Beer and Rahr's Beer in the windows. Here's some of the same crew earlier in the day. 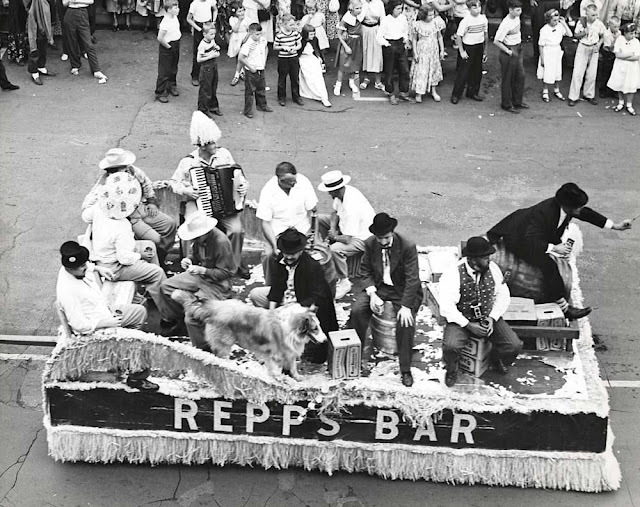 They're parading down Main Street with a few cases of Rahr's Beer and a big wooden keg with a tap on it. I would like to have been afloat on that float. Back to the Southside. It's the Acee Deucee, circa 1939. Check out the Old Derby Ale sign hanging from the back bar. 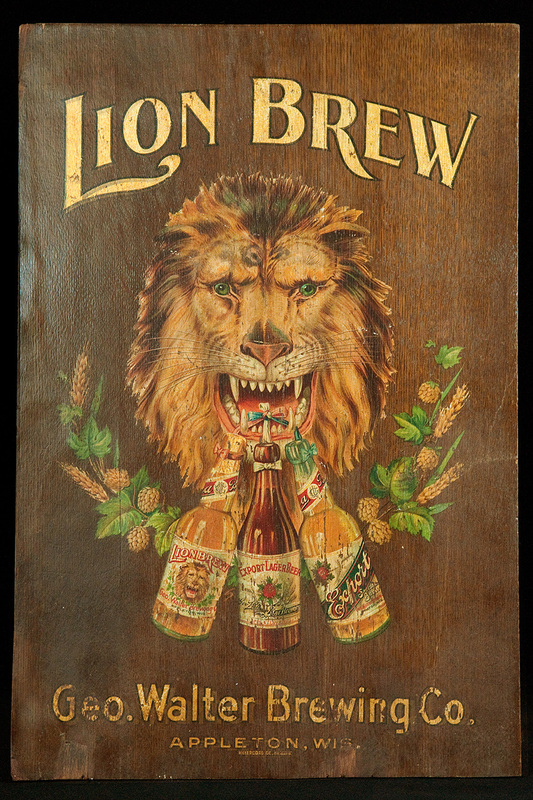 This is right about the time when Peoples Brewing acquired the Old Derby brand from the recently failed Ripon Brewing Company. What I wouldn't do to taste that beer. Now we travel to the latter half of the 1940s and the northeast corner of 9th and Ohio. It's still Nigl's today. Check out the misspelling painted on the window. That's not how you spell Chieftain. And that's a Peoples Beer in the right hand of the man on the left. Those Southsiders sure loved their Peoples. Did you notice the other tavern in the background? That's Ohio Street Station today. The big painted sign on it is for Peoples Beer. That's because the guy who started that bar was Joseph Nigl, the first president of Peoples Brewing Company. I haven't been able to confirm the identity of the next tavern, but I suspect it's the old Tony's de Lux, now Uncle Don's, at the corner of Bowen and Otter streets. Peoples Beer is winning the day here. That's a sign for Peoples Wurtzer Beer on the register. Look how pale the beer was. 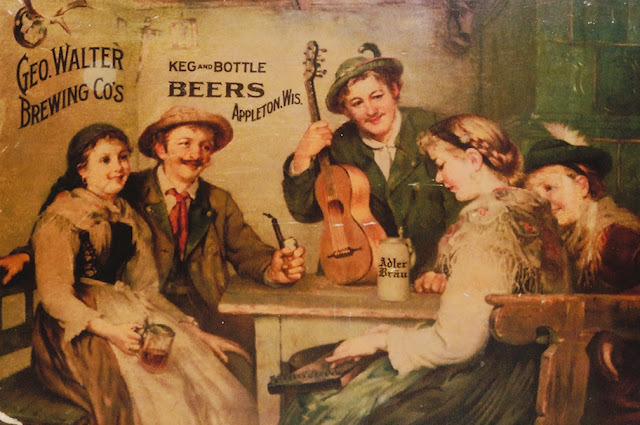 Those old, dark lagers of the saloon days were no longer in vogue. 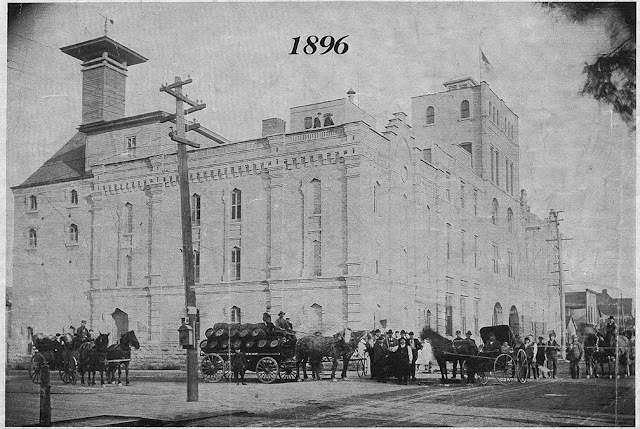 Here's a tavern built by the Oshkosh Brewing Company in 1902. 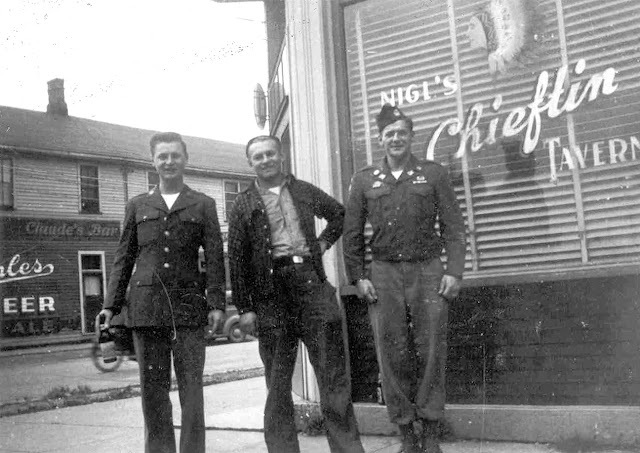 This is Witzke's in 1941. 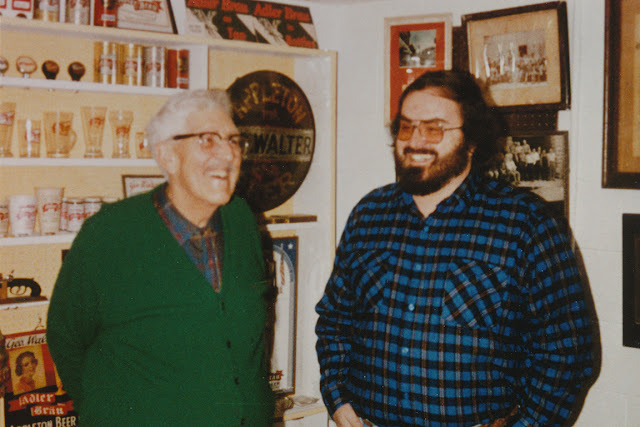 Witzke’s is still there, of course. It still looks great. Next time you're on Oregon St. check the place out and notice that the Oshkosh Brewing Company name endures. One more of the old places. This is inside Steckbauer's Tavern, which stood at the northeast corner of 6th and Idaho. The picture was taken in 1975. That's Jake Steckbauer behind the bar. 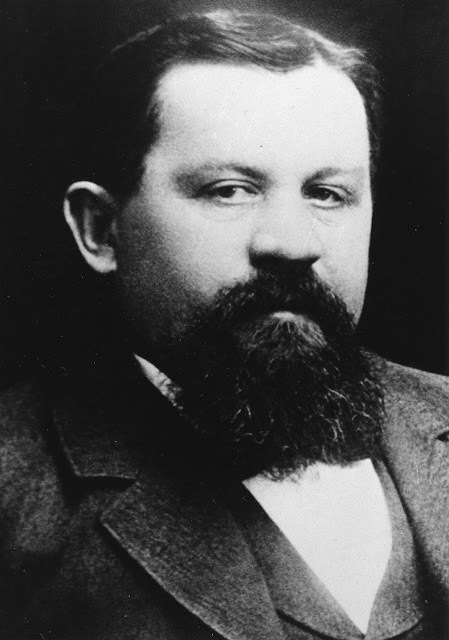 Jake was the son of Herman Steckbauer, who opened this bar in 1891. The picture hanging next to the bar is of Herman Steckbauer. Next to the picture of Herman is a photo of Pope John XXIII. 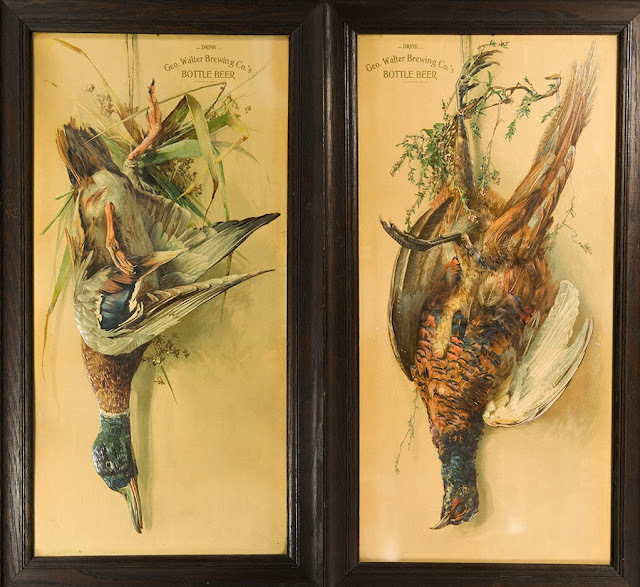 The two men were said to look alike so they hung them side by side. 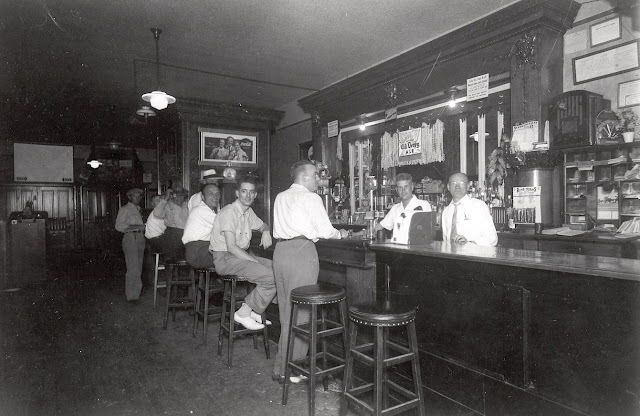 Jake took over the bar when his father died in 1947. Above the bar, you can see old Chief Oshkosh and Peoples Beer cans. 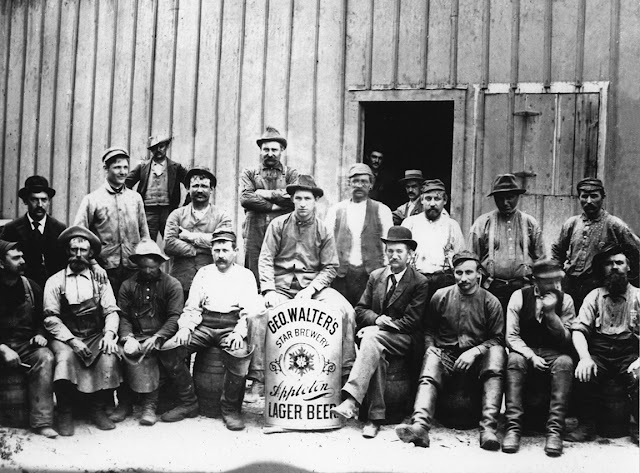 The breweries that made those beers were gone when this picture was taken. Jake wasn't around much longer, either. 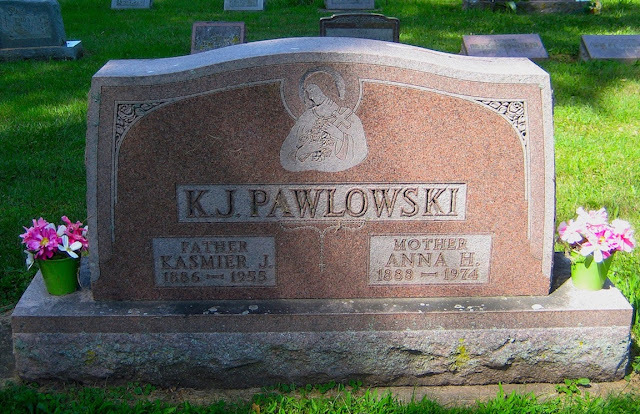 He died in 1979. The building that housed the old Steckbauer tavern burned down in 2009. Lyon's Den Bar is now there. I love looking at these old pictures. They used to strike me differently. I used to stare at them and think how much things have changed. I don't feel that way anymore. In Oshkosh, we still have a strong tavern culture. 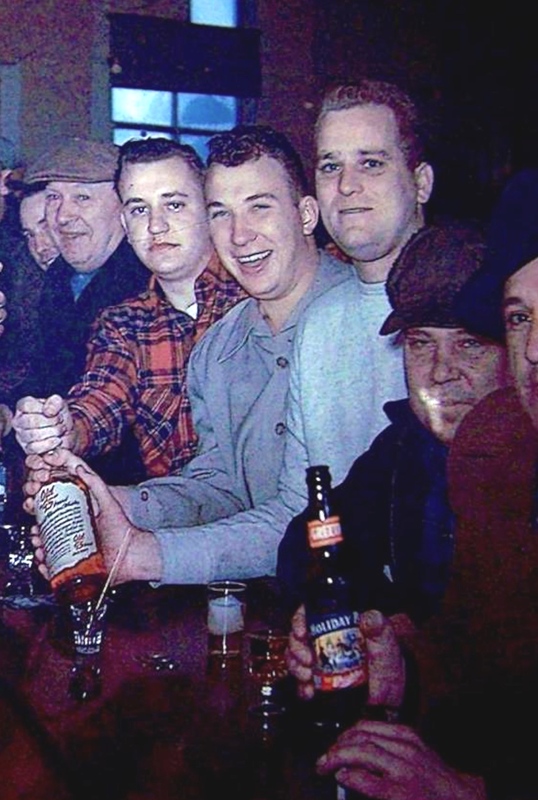 The sense of camaraderie you see in the pictures here is still present in just about every Oshkosh tavern I've been in. Things may not look the same, but what was vital about these places then remains vital today.